Set a blog correctly. Setting a blog doesn't have to be complicated or expensive. 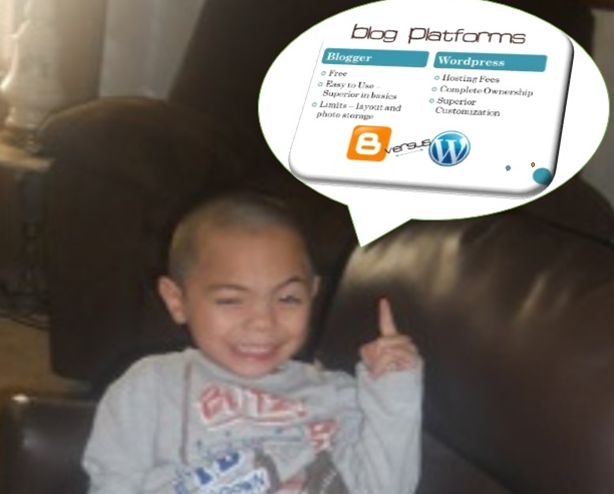 Blogspot and wordpress are the two most famous free site to start a blog. More and more people are starting blogs every day. Starting a blog does not required technological skills, as long as you know how to use the computer then you can build your own site. You will be able to start a blog within 30 minutes or less from a scratch. Have a passion for writing. Blogging is about sharing your knowledge with the world. Choosing a topic that you are passionate about will makes the process of starting a successful blog so much easier. Learn from others. Learning how to build a blog makes a ton of mistakes. But learning is a part of life, you learn through mistakes. It helps to visit other sites, read some tips and tutorials that will benefit you as a new blogger. Adii Pienaar, founder of PublicBeta, quoted “write for yourself first & foremost. Ignore the fact that anyone else will read what you write; just focus on your thoughts, ideas, opinions and figure out how to put those into words. Write it and they will come.” People read blogs as a source of information or because they find the writer interesting. 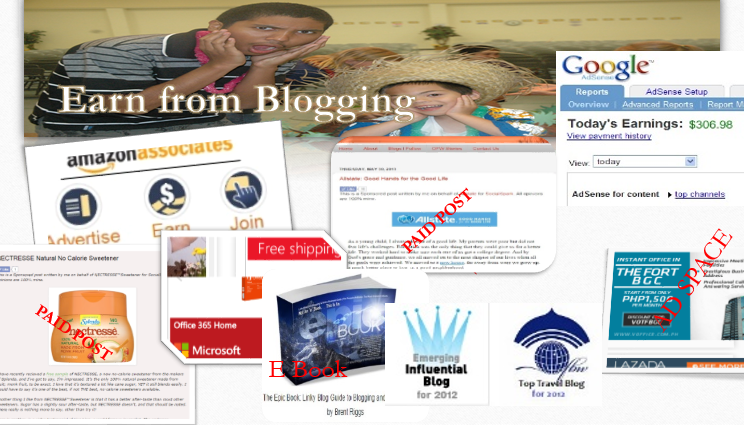 More and more people blog to earn money. In order to have a successful blog, your first priorities are to grow your blog’s brand, gain credibility and authority, and create a quality content for your readers. With hard work and commitment you can make money through advertising and other income-generating activities on your blog. Google AdSense is the biggest advertising networks available and the top income generating ads for bloggers. It’s simple to use and doesn’t require you to have a great amount of technical know-how. Once to have established your blog, you can apply for Google AdSense to put ads in your site. Paid post. Today many bloggers earn money by posting an article about the company. They will write an article according to the company requirements and you will get paid by posting and promoting it to your own blog. Amount ranges from $500 to $20, depending on how much the advertisers can pay the blog owner. Amazon Associates. The Amazon Associates program allows you to earn a portion of sales when people click-through from your blog to Amazon.com and make a purchase. You only earn money when people buy something from the online store and the amount you earn varies based on what people order and how many people purchase through your links. and your blog should have a sufficient amount of traffic in order for the company to place ads in your blog. High traffic means high page view and more chances for the company to advertise their product. Personal Appearances. As your blog becomes respected and well-known, you will get invitation from organization to say a few words or for some readings to the public. You might get paid from it and a recognition for showing up to their event. Recognition can be through blogging awards, speaking engagement, A successful blog can gain you a ton of recognition in their respective field. Through blogging, you start learning and expressing your opinions in front of others while being willing to listen to theirs as well. Best Tips to New Bloggers. 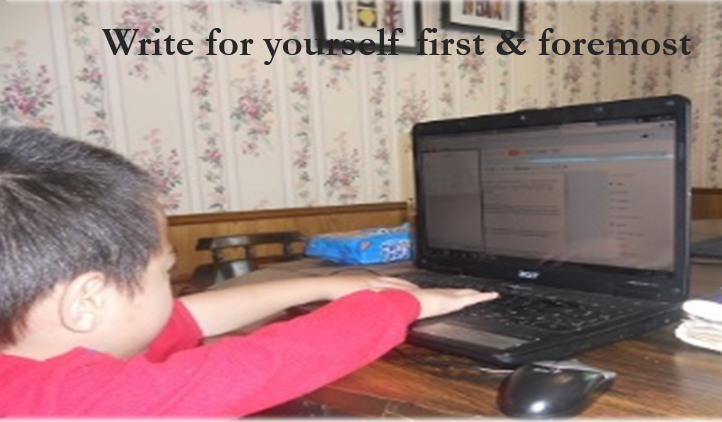 Starting a blog is easy and one of the simple if you do it for passion and not thinking of earning right away. Before you start, define your goals for it and what do you want to accomplish out of blogging. Are you simply blogging for fun or to earn? Think ahead of what you'd like to gain from your blog in a span of time. 1. Explore other blogs before creating your own blog. Visiting other sites will help you with the basics of blogging like template design. 2. Create a niche that is in line with your profession or things you are more knowledgeable about, a niche where you can build your own reputable identity and eventually become an authority. 3. Know Your Audience. If you can't decide yet what topic to post, your target audience will help you decide on the design and content of your blog. 4. Be unique and informative. Write well and readers will come. 5. Post/Share links through social network sites like twitter and Facebook, at least your first followers/readers will be your family and friends. Social media helps your blog reach readers through your friends and family. 6 Join many groups to share your posts daily. 7. Keep on updating a blog will work the best. If you can post 1-3 articles every day the better. The best way to keep readers coming back is to always see your blog visible with new articles. 8. Comment to other sites to establish connections with other bloggers. 9. Blog blog blog blog- Do not think about earnings yet, keep blogging. 10. Love what you are doing. You will enjoy blogging if you love what you're doing whether you earn money or not. We have seen that blogging is not all about writing, it also gives us the chance to earn in many ways while in front of the computer. Starting a new blog takes a lot of hard work and this can put many people off but don’t be discouraged, keep writing quality article. Spread the word about your blog and new posts. Promote your site on social media like Facebook, Twitter, and Tumblr. Remember, your blog is an extension of you and your brand, and your loyal readers will keep coming back to hear what you have to say. Don't blog like a reporter. Blog like you're having a conversation with each of your readers. Blog from your heart. And if you want other people to read what you have to say, you need to write well. With more experience, you begin to understand how to engage your readers and as you continue to write, you become a better communicator. Dave Kerpen, author and CEO of Likeable Local. Thanks for explaining the ways well here. This article is remarkable, you've explain it in details. That have been my problem, not able to make money. Supercharged after reading this, thanks a lot for beautiful post. 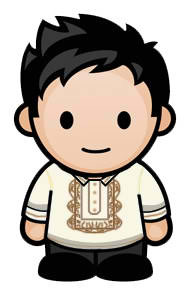 Can I use infolinks even if my posts are in tagalog language?